Considering purchasing the Ecler NUO 4.0 Mixer? Have questions? Ask people who've recently bought one. Do you own the Ecler NUO 4.0 Mixer? Why not write a review based on your experience with it. Excellent build quality, superb full kill EQ and faders but the default RCA output is really very low. Thankfully, this can be easily fixed by turning it over, opening up the back and adjusting the internal jumpers to give +6dBV. See page 51 of your manual for details. 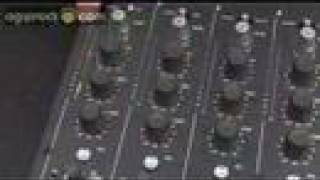 Seen a video for Ecler NUO 4.0 Mixer online or have you own video? You will earn 2,852 loyalty points with this product worth £7.13, when logged in. Check out Ecler NUO 4.0 Mixer on DJkit.com!